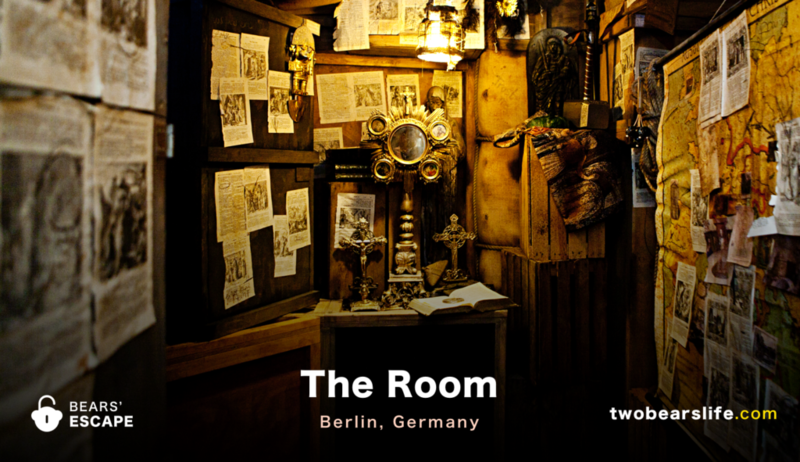 For the next Escape Room we visited in Berlin, we took up the invite from the owner of “The Room”. His rooms are among – if not the – best rated games in Berlin, so we were very curious. Could The Room hold its high promise, or did it crash and burn under our high expectations? Lets start our Bears’ Escape Review of The Room in Berlin. 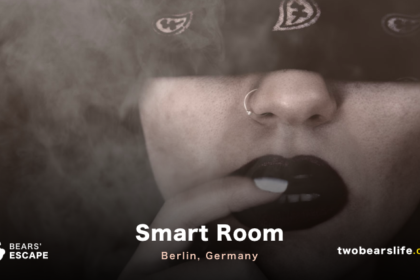 We have heard about the company “The Room” in Berlin before – not only did the owner contact us and invite us to try out his rooms, but we also read other Reviews on Escape Room Blogs like Escape-Maniac (a german speaking blog), were all three of the rooms are rated among the best rooms in Germany. So of course we needed to go there. And our expectations were high. The location is a little bit outside of Berlin, but you can take the a tram or a bus to go there. It is not one of the locations you have to search for once you arrive at the address – the entry door is clearly marked with a sign you can not miss. Once we arrived (like 13 minutes before our scheduled game), we were immediately asked why we are late. To be honest – we were confused about that. Sure, almost every Escape Room asks you to arrive 15 to 10 minutes early – but never have we had a situation were those 15 minutes were taken so seriously. Which is fine – it is important to arrive on time so you do not mess with their schedule. So – consider those 15 minutes when you plan your trip to The Room. 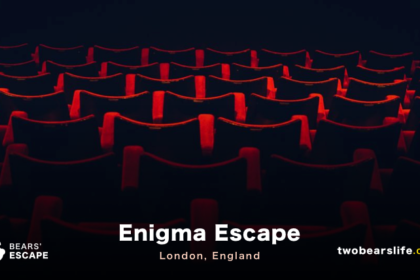 We got the basic information about the company from a really friendly host and had the pleasure to meet up with the owner of the Room, who took some time to brief us on the room and talk a little bit about our blog as well as the importance of credible Escape Room Reviews. The talk was nice – but it also made us very nervous about being able to finish the first room as a team of just two players. Chief Inspector Ernst Gennat has a problem: the “Beast of Berlin” has struck again, directly in his office. You’re employees of the special commission and your task is to find the hiding place of the rampant serial killer. The gripping true story will catapult you directly into Berlin’s roaring twenties. Start searching … and you will get dangerously close to the beast. Warning: Not for the faint hearted! 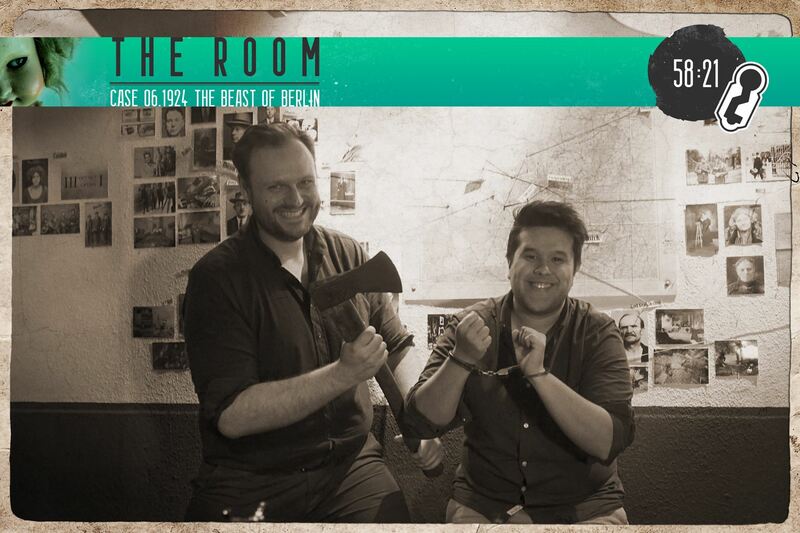 The Beast of Berlin starts with a classic Escape Room scenario. Solve the crime and find out, what happened to the murder victim. It is certainly not the first time we have played this mix of Sherlock Holmes and Crime Noir storyline – but we really do not mind, if the puzzles and the room hold their own. And they certainly do in The Beast of Berlin. It is not their newest room, but we were told in the beginning that they continuously work on improving their rooms. I was really impressed by the way they give you the clues in this room, as the tool for it was really well placed and did not destroy the immersion into the 1920 theme of the room. 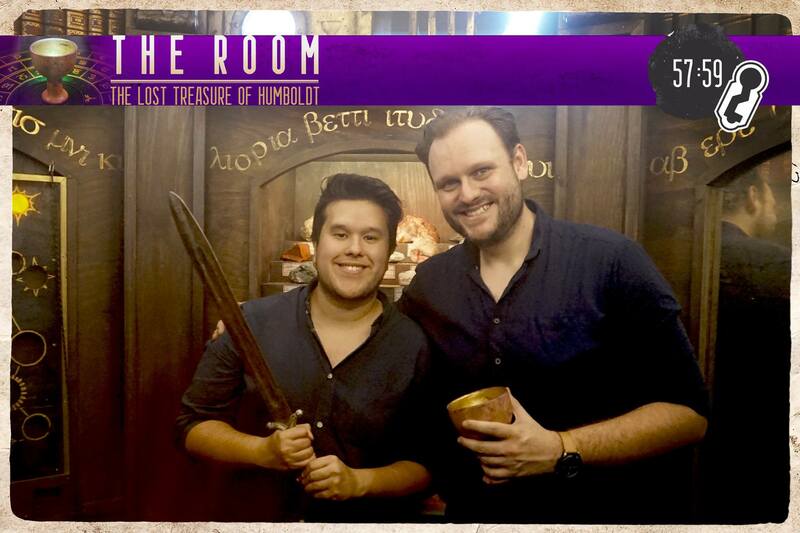 The room(s) hold a lot of puzzles – Alex and me had our work cut out for us. The room design is very well done – the Office room feels compelling and sets the mood, whatever comes next (which we will not spoil of course) looks even better and sets the mood perfectly for the story. We have done Escape Room Crime Stories before, but we can promise you, you will not “just” read on a sheet of paper what happened to the latest victim. Who is the Killer? Well.. we found out. Or did we? Berlin-Mitte: During draining pipe repairs under the Humboldt University, maintenance workers have made a remarkable discovery, uncovering the entrance to a previously unknown facility. An immediate search by the workers seems to have backfired, however, as they have been neither seen nor heard from since. The entry has been closed by government order and officials are currently looking for a team of experienced archeologists to attempt a mission to unveil the location’s secrets. .. and that team was the two of us (of course). We actually got the room briefing by the owner of The Room. He told the story so convincingly that we thought he was talking about real events that inspired his room until we realised we were in the middle of the intro. The poster as well as the summary suggest a slight Indiana Jones connection – and sure, you would not be wrong. Your goal is to explore the new-found area and find the treasure – or is it something else? You will find out while playing the room. We were very impressed by the room from the moment the game started: you do not enter The Lost Treasure through a traditional door, which was such a cool idea. The start of the game is so well done – although if you think about it, you kind of ask yourself, why other escape rooms do not go the extra mile to give you a more fitting starting point. It should not be that hard, right? Well, once we were actually IN the room, we found ourselves in a round-shaped room which looked like it was straight out of a Tomb Raider or Indiana Jones Movie. We needed a minute to actually figure out our next move – but once we realised that the game guides you very well trough the various stages, we started to go to work. And wow – we had a LOT of stuff to do. We did it .. and we had the best time while doing it. I could continue writing more and more about the Lost Treasure as it is clearly and by far the best escape room we have done. There is not even a close comparison. Don’t get me wrong – The Beast of Berlin is also very good. But The Lost Treasure definitely sets a new high for us. It is a pretty linear game, but the way you go though the puzzle is so engaging that you feel like you went through a roller coaster afterwards. Both of us were out of breath and dirty and could not stop smiling. Of course, it also helped that we escaped in time – which we did by pure luck because we even missed an inside game clue for a symbol we were looking for and just tried to find the solution without it – and thank god it worked. The host tells you in the briefing before the start to never leave the main room without a walkie-talkie – that is a very useful tip and you should take it by heart. We actually managed to screw this one up – which lead to a frustrating moment where we requested (and got) help from our great gamemaster. The puzzles all make sense but are not easy, the gameflow is absolutely amazing and works so well. We are aware that logic does not always work the same for everybody – but we rarely felt lost in both of their rooms. If you only have a chance to play one room when you are in Berlin – go for The Lost Treasure. 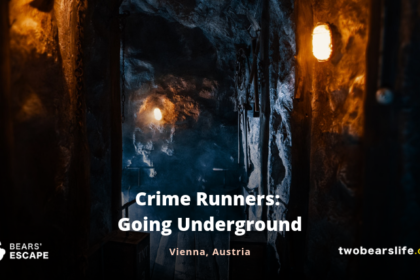 It is an absolute must-do – not just for Escape-Room Fans but for everyone. So do it – and tell us what you think about their rooms. The staff was nice and helpful, which was (a little bit) surprising since most of them had their first day. The gamemasters watch your game very closely and once you get a clue or ask for a clue, the help is on point and makes sure you can move ahead. The only point where we could deduct a point it the location itself – it is a little bit outside of the city and we even had some problems with the tram as it was fairly late once we finsished and they just stopped driving. Never the less – it is not that far outside (approx. 30 minutes with the tram/subway/bus from Alexander Platz), so we will let this one slide – because the game is just so good that it absolutely deserves our highest rating (for now). Go do this one – it is amazing. The Room is a little bit outside out the City-Center of Berlin – but it is still reachable with public transport (around 30 minutes). The location is clean and offers bathrooms and a comfortable waiting area. Make sure to be on time – they take the 15 minutes before rule very serious. We played two games: The Beast of Berlin and The Lost Treasure. 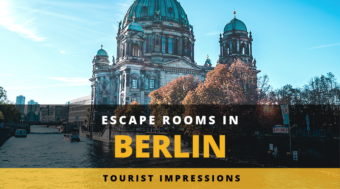 Both of them are very good – but The Lost Treasure is definitely the best Escape Room we have done (for now) and an absolute “must do” when you visit Berlin. Have you ever played this escape game or one of their other rooms? Or can you recommend any other location for us to try? Please let us know in the comment section. Also – check out and follow us on YouTube and Like our Facebook Page to stay up-to-date about our posts. Or check out our other Bears’ Escape Reviews in our Escape Room Guide. I’m glad to hear that these games live up to the hype. We’ll be playing them this summer. I totally agree with your review (except the 10/10 location rating). 2 years ago I played “The Beast of Berlin” and it became the best room I ever played until then. Last year I travelled to Berlin again for playing “The Lost Treasure” – and it even topped the other room. Definitively the best hour I spent in Berlin ever. I really hope there will be more games like this in future. It’s like being part of an adventure movie. We managed both rooms nearly without help right in time in a group of 2. Without a question “Lost Treasure” is the best room I played until now (and I played approximately 80 different rooms, next weekend I am going to play 5 games in Cologne).